Jeff's Family Adventure Files: Calvin and Edwards, Environmentalist Wackos? Calvin and Edwards, Environmentalist Wackos? Glad I didn't pay for this book! A weekend ago at our local public library, I searched "protestant reformation" hoping to find more on this era of Christian history. 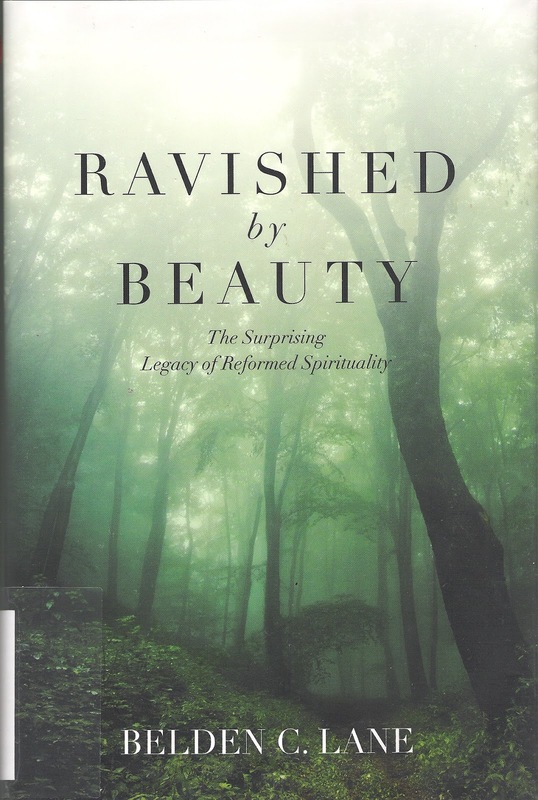 I came across the book Ravished by Beauty - The Surprising Legacy of Reformed Spirituality by Belden C. Lane (Oxford University Press, 2011). As it turns out, the material is a good case study on how to identify bad theology. Lane's position, as articulated in his Prologue, "hopes to stir in the reader a desire for God"s glory, glimpsed so vividly in creation that one's work for ecological justice becomes a natural extension of praise. " The format of the book generally quotes John Calvin, Jonathan Edwards, and the Puritans writings about the glory of creation, then argues those writings as a foundation against the ecological catastrophe caused by free market economics and misplaced desire. In other words, Calvin, Edwards, the Puritans, et. al. happened upon an environmentalism (in addition to restoring the church to the gospel. I couldn't find the gospel articulated in the book). When looking at it at the library, I thought it might be interesting (note to self - take reading glasses to library next time). He appears to accurately asses modern day perceptions of Calvin as "narrow minded pope of Geneva", Edwards as "a pathetic last of the medieval Americans," and the Puritans as "passionless." With that assessment, I heartily say, "Amen brother!" I believe Calvin his contemporaries, and the Puritans to be misunderstood in proportion to one's misunderstanding of the Bible, myself included, that's why I want to learn more. Too bad Belden Lane appears to go to the other extreme. For example, the best analysis he has about the death of Jesus appears on pages 128-129. He does not even mention why Jesus died, but instead mention that the cross is often written about as a "tree," which is true. Lane's analysis of the death of Jesus appears to be an illustration of the power of trees. I've had enough. Why? 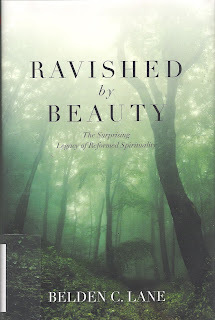 What drives me to read John Piper's Desiring God and embrace that as good pastoral teaching, but reject Belden Lane's "Ravished by Beauty as garbage? Scripture defines itself as "God - breathed and useful for teaching, rebuking, correcting and training in righteousness, so that the man of God may be thoroughly equipped for every good work" in 2 Timothy 3:16-17. Upon examination, even though Piper's teaching didn't occur to me on my own, I can see that he appears accurate. Lane does not. The Bible's basic idea isn't that hard: God is. God created. God created us. We rebelled against God. God loved us and sent His Son Jesus. Jesus died, was buried, was risen from the dead. Faith in that truth saves. When saved, we walk with God. Stewardship over the rest of creation is part of that walk, but it is not the gospel. Sorry Mr. Lane, you've missed it. So, I'm off to the Library to return this book.